Today is my 30th birthday. Huzzah! As you do, I’m currently in the midst of celebrating this milestone by throwing a three-week-long 30th birthday festival, which includes multiple events, and lots of eating and drinking. Anyone who knows me knows my 30th birthday festival wouldn’t be complete without a winery lunch in McLaren Vale. This is because I love wine, wineries and winery lunches more than I love hot showers. But also because McLaren Vale holds a very dear place in my heart. It’s rurally gorgeous, creates some knockout wines and where I grew up (well bloody close to it). Rewind a couple of months and I was faced with a very serious dilemma. 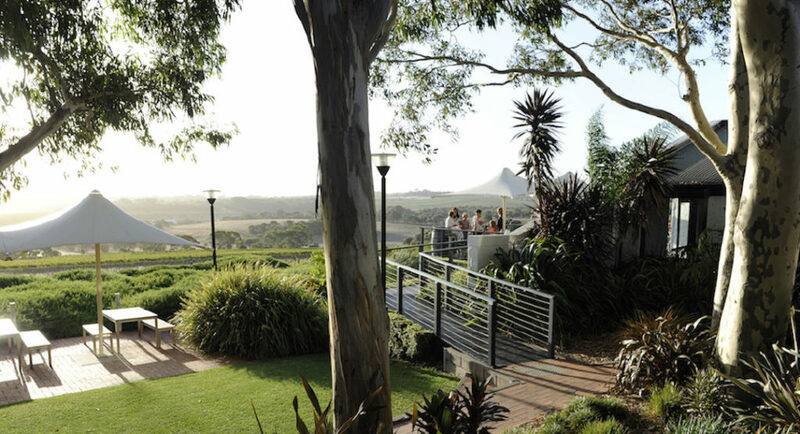 Where would I have my 30th birthday McLaren Vale winery lunch? It was like choosing a favourite child, and these were the children I was having to choose between. No surprises. I’ve written about this McLaren Vale institution before. 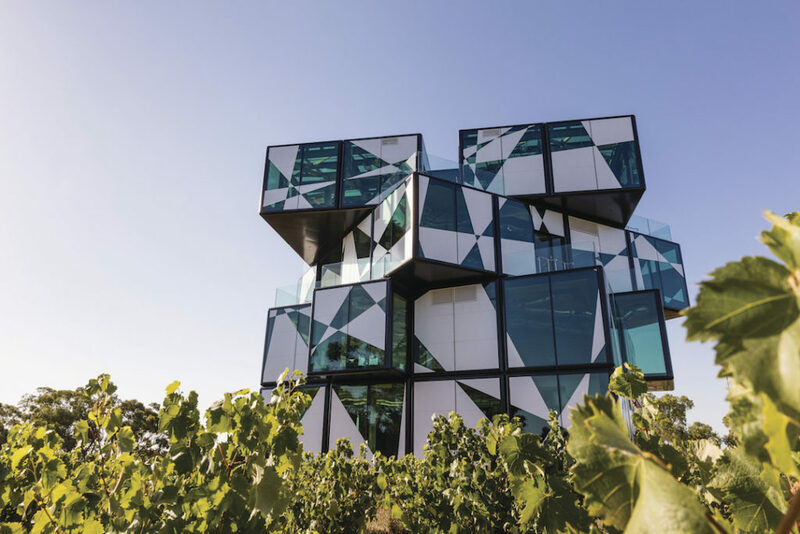 While I really liked d’Arenberg’s old homestead cellar door, you can’t help but be impressed by the new five-level d’Arenberg Cube. With a sensory room, piped music that responds to vineyard weather conditions and ‘wine fog’, it’s a fricken Willy Wonka’s Wine Factory. The wines are also in a class of their own. I’ve lost count of the number of times I’ve stashed a bottle (or three) of d’Arenberg wine in my hand luggage, desperate to smuggle some Hermit Crab Viognier Marsane back to Sydney. 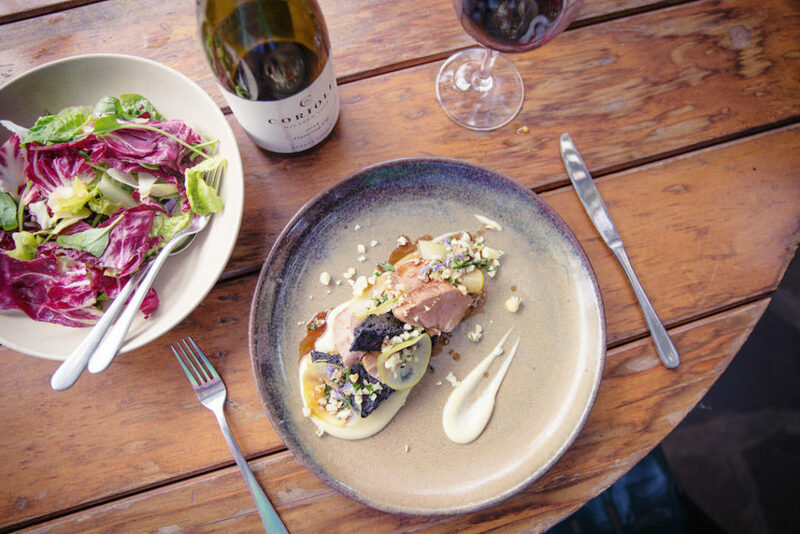 A few doors down is S.C. Pannell – a somewhat new kid on the McLaren Vale block. This boutique winery has a lot going for it. For starters – its wines are divine! Very important. But it also has great views overlooking the valley, a friendly atmosphere and a constantly-changing simple lunch menu. If you’re not into a winery lunch on the deck, you can picnic on the lawn instead. For $75, S.C. Pannell supplies everything you need – bread, cheese, wine, rug loan and other goodies (bookings required). 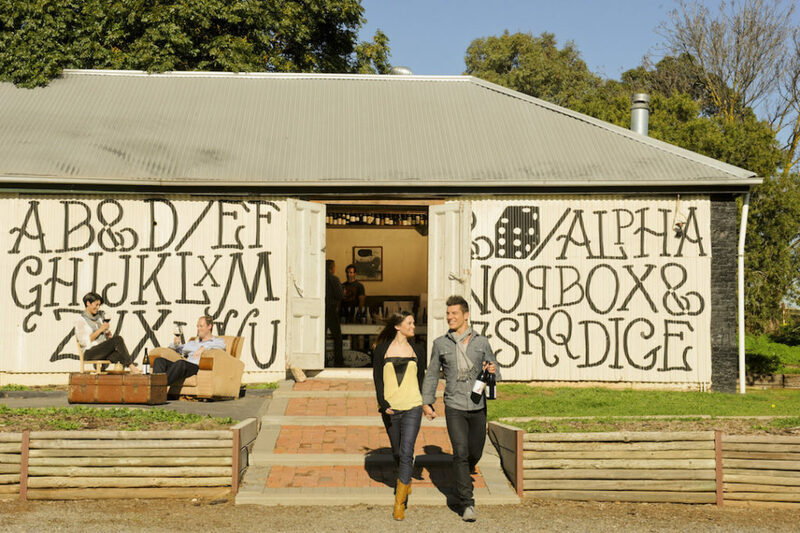 The cool cat of McLaren Vale’s wine scene, you go to Alpha Box & Dice if you’re a cool cat yourself. These guys are on a mission to invent a different wine style for each letter of the alphabet (they’re a few letters off), creating wines “whose entire raison d’être is to be delicious.” Me like. Just like I like the rationale for AB&D’s wine for the letter U. U is for Uncle – an Adelaide Hills Sauvignon Blanc that’s named after that awkward, uncool uncle who still drinks Savvy B despite how uncool it now is to drink Savvy B. If you don’t give two hoots about the ‘Wine Alphabet’, you can’t not be impressed by the cellar door vibe. Creating a picture that’s full hipster are pinball machines, sofas that look like they’ve come from Vinnies and a bunch of other oddities. Yep, this one’s out of the box. 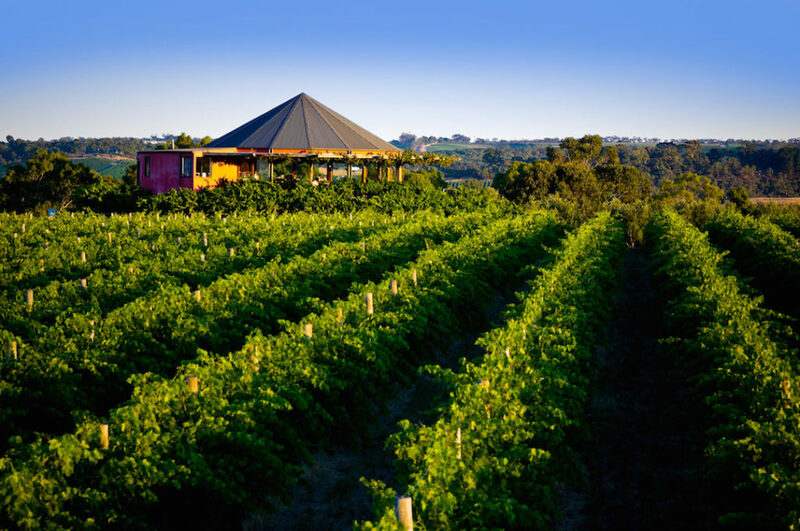 The octagon-shaped cellar door is reason enough to visit Hugh Hamilton Wines, with panoramic glassed windows framing the views below (of vines) and beyond (of the Willunga hills). Surrounded by a sea of vines, it’s kind of like a space ship has landed in a vineyard and decided to drop anchor – and who can blame it! 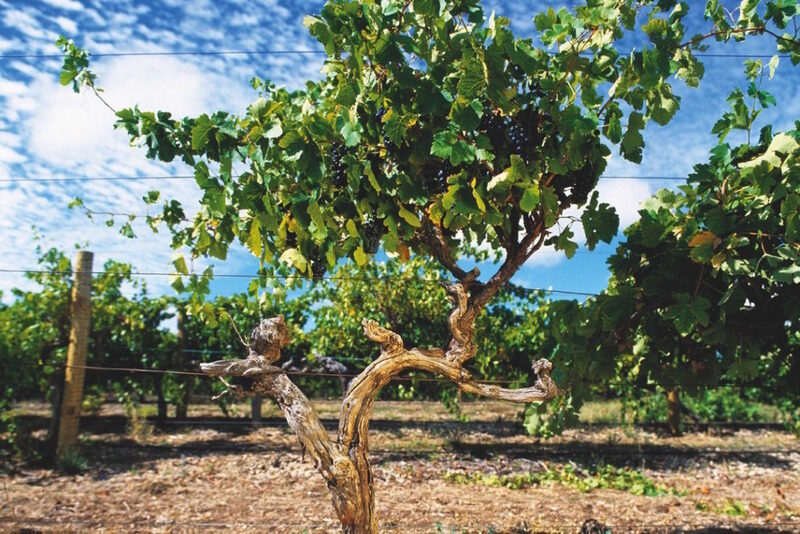 If you’re still not convinced about this one, how about the fact Hugh Hamilton is the creation of a blue-blooded McLaren Vale wine family (sixth generation), with Richard Hamilton responsible for planting the first vines in South Australia, all the way back in 1837. We salute you old man Hamilton! I’ll head to Coriole any chance I get. It’s perfection. The cottage garden grounds: straight from the pages of Home Beautiful. The wines: tastier than tasty cheese. And the views: definitely don’t disappoint. Don’t leave without trying the sangiovese, picking up a bottle of Coriole Extra Virgin Olive Oil and, preferably, stopping for lunch in the courtyard restaurant – it’s one of my favourite places for a South Australian winery lunch. Paxton Wines – a beautiful spot in the world, serving delicious organic and biodynamic wines. Warning: you will get drunk on the vineyard views here. Wirra Wirra – inside the ironstone cellar door you get to taste some of McLaren Vale’s most celebrified wines: the Church Block Shiraz and Mrs Wigley Grenache Rosé. These guys can’t leave South Australia without dark shades and a baseball cap. Samuel’s Gorge – try not to fall in love with Samuel’s Gorge with its old worldly charm, views of Onkaparinga River National Park, relaxed vibe and black belt stable of reds. Woodstock Wine Estate – where I actually held my 30th birthday winery lunch because at $52pp for shared entrees, mains and sides it’s great value for money. But also, the team here are lovely (in every sense of the word) and the setting is full gum-tree Australiana. Previous PostWIN 2 tickets to the races and a VIP gift! I read your feelings and quite impressive. Share some other experiences about some adventures.